I must say, every time, my kiddo sees a new mama earth product, she runs after it and becomes excited to use it. She loves to see the cute baby animals on its bottles and knows it is something for her. She adores the fragrance of mama earth products and loves to use them. For me, it is my trusted brand now. Every mother knows how painful it is to see her baby crying and unable to sleep at night due to colic. Colic is very common in babies. I used to keep asafoetida handy and apply it around the navel of my baby by mixing it in water and making a paste. It’s a common home remedy that works well most of the time. 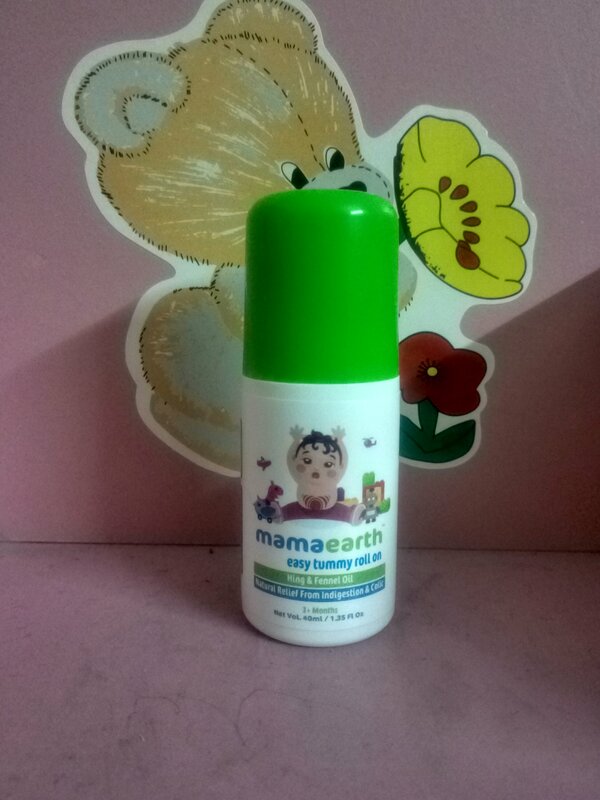 Mama Earth Easy Tummy Roll On has Olive Oil, Hing oil, Dill seed oil, fennel oil, peppermint oil and ginger oil as its key ingredients. When babies get colic, all one has to do it to gently rub the roll on around the navel. It provides relief in no time to the baby. The roll on bottle is very easy to carry and can be easily kept in the diaper bags. It is very handy and easy to use. It is 100% natural and does not contain any chemicals or alcohol. No mother likes to see the swelling on the apple cheeks of their little ones after insect bites. The swelling and itchiness can become very painful at times. 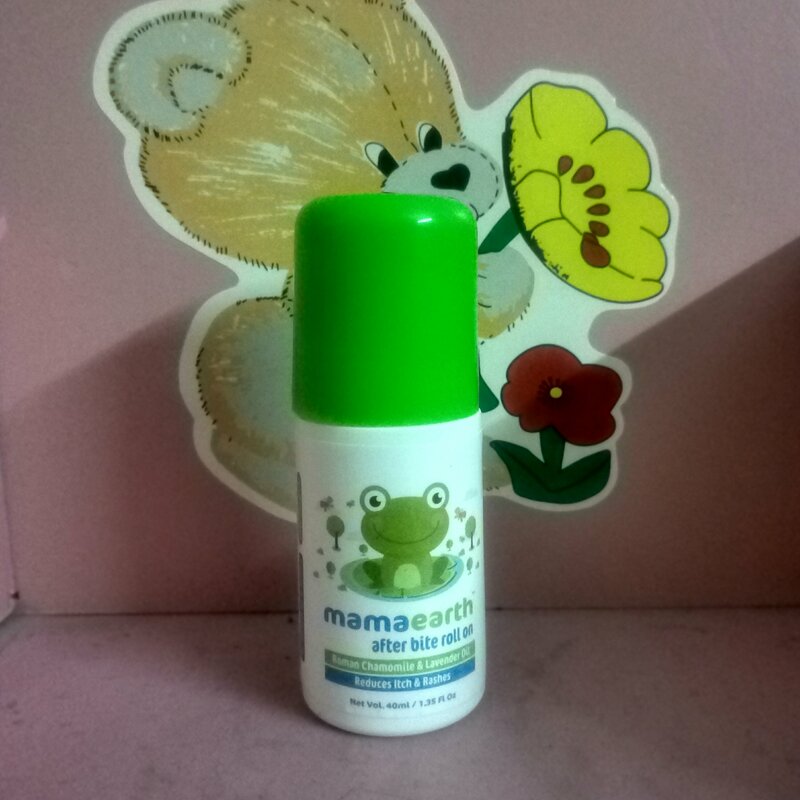 Mama Earth after bite roll on works very effectively against mosquito and other insect bite. Its key ingredients are coconut oil, calendula oil, peppermint oil and Roman Chamomile Oil. The anti- bacterial and anti- fungal properties of coconut oil are very helpful in soothing rashes, disinfecting cuts and promoting healing of wounds. Calendula oil helps soothe sore, inflamed and itchy skin. Peppermint oil gives a cooling sensation and has a calming effect on the skin. Roman Chamomile oil acts as a skin healer and relieves skin irritations. With the goodness of all these natural oils and a perfectly easy to carry roll on bottle makes Mama Earth after Bite Roll on the perfect solution to insect bites for kids.